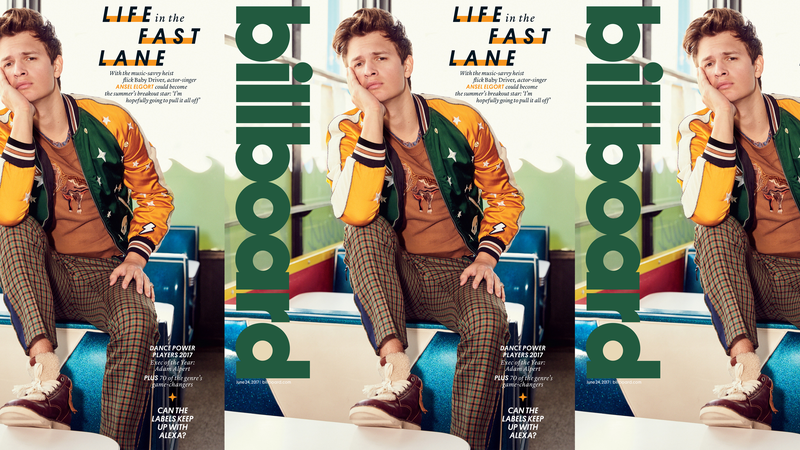 Ansel Elgort says, “It’s just so easy to be a hater,” in his Billboard cover story. It’s true. Hate is indeed this generation’s default mode of expression and there is too much of it in the world. People love to hate on Elgort, but there are many positive things about him. He’s six-four, for one. And this recent song of his isn’t the worst in the world. It’s also absolutely not the best. Also, his movie Baby Driver (where he plays a baby, driver) looks fun. However, Elgort acknowledges the truth himself in this profile when he says, “I’m super easy to hate.” So we would be remiss to ignore all the hateable parts of the story, which begins with Elgort bouncing a basketball (it’s okay, no one lives below him) on the floor of his beautiful apartment in gentrified Bedford-Stuyvesant, Brooklyn. He bought the place with the bonus check he earned from The Fault in Our Stars. He’s 23. Go on and hate. A New York University student passes by, silently acknowledging Elgort with a bowed head and prayer hands. “That was chill,” decides Elgort. Frank, how dare you. Or was it Frank Ocean...? Just imagine, Elgort and Not Frank Ocean hanging out and eating ice cream. If it was Frank Ocean, then Frank Ocean’s taste is in question. Fun. That’s something you can’t hate. Here’s a twist: Choose love.